In response to a FOI request it has received, the Office of Government Commerce (OGC) has agreed to disclose its Gateway reviews of the National Programme for IT. These relate to issues which were examined through the Gateway Process at key decision points in order to provide assurance that they should progress to the next stage. The purpose of Gateway reviews is to challenge assumptions and explore any perceived weaknesses. They are expected to be critical of certain aspects. This is part of best government practice and has meant that the NPfIT has been able to assess which activities needed to change and which issues should be addressed. The reviews cover a period between 2002 and 2007. Given that the material is older than two years, it has been possible to make public almost all of the content, with the exception of certain personal information covered by the exemption at Section 40 of the Act. The Department of Health has agreed that the reviews should be made public via the NHS Connecting for Health website. Martin Bellamy, the head of NHS Connecting for Health, is to leave his position as director of programme and systems delivery for a new position at the Cabinet Office. His departure comes as part of a wider shake-up of NHS Connecting for Health that will see the IT agency become directly managed by the Department of Health Informatics Directorate. Patients are not experiencing the promised level of choice in appointment times, dates and locations promised by the introduction of the NHS’ new computerised booking system, according to the first study of patients’ experience of Choose and Book led by researchers at UCL (University College London). The study is published today in the journal BMC Medical Informatics and Decision Making. In a survey of patients who had used the Choose and Book system for referral to a large London hospital, 66 per cent said they were not given a choice of date for their outpatient appointment, 66 per cent said they were not given a choice of appointment time, 86 per cent reported being given a choice of fewer than four hospitals and 32 per cent reported not being given any choice of hospital. Overall, only one patient reported that they had been offered a choice of four hospitals, appointment date and time – the level of choice Choose and Book was designed to offer everyone. Choose and Book is the central component of the UK government’s patient choice agenda and seeks to provide patients with choices regarding the time, date and place of their first outpatient appointment via a computerised booking system. Patients can either choose their initial hospital appointment while they are at their GP surgery or book over the phone or via the internet at a time that is more convenient to them. The system was launched in January 2006. Dr Henry Potts, UCL Centre for Health Informatics and Multiprofessional Education (CHIME), who oversaw the study, said: “It is clear from these results that these patients were not experiencing the degree of choice that Choose and Book was designed to deliver. This may be only one hospital, with results taken in a transitional period, but we believe this could be typical of the national picture. “Patient choice has been heralded as the driver for transforming the NHS and a means of meeting the expectations of patients. It is cited as the solution to much that is presently wrong with the NHS – from excessive waiting times to even car parking issues. The study data also reveals that 63 per cent of patients had not been aware before their GP appointment that they were entitled to choose to which hospital they were referred. Those who had booked through their GP surgeries appeared to experience less choice than those who had booked online, but patients who had used online booking reported some technical problems. In comparison with patients using the old booking system, patients using Choose and Book did report being offered a greater choice of hospital. However, they did not report being offered a choice of time and date any more frequently than those who had used the old system. As Britain’s National Health Service celebrates its 60th birthday, new digital technology is revolutionising old working methods in a drive for greater efficiency. The National Health Service has come a long way since its inception. An x-ray is an old fashioned photograph which takes time to develop and then exists as an artefact that has to be physically passed around to everyone who needs it. But having an x-ray taken at the Countess of Chester hospital in the north west of England no longer involves any film or photographic chemicals. 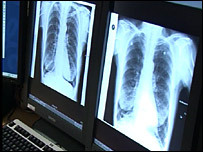 Instead a machine scans the image straight into a central database and makes it instantly available on the radiology ward and across the hospital in the consultant’s office. At this hospital the images are scrutinised by expert eyes on high-resolution screens and, while other hospitals are doing the same thing, in Chester they have gone one step further. Hearst Corporation today announced the acquisition of U.K.-based Map of Medicine, a leading provider of evidence-based health-care resources designed to help health practitioners make sound decisions by following accessible clinical information on a range of relevant medical issues. The announcement was made by Victor F. Ganzi, president & CEO, Hearst Corporation, and Richard P. Malloch, president of Hearst Business Media. Map of Medicine, formerly owned by Informa plc, will be managed in London as a separate operating unit (Map of Medicine, a UK limited company) of Hearst Business Media. The agency said the upgrades did not represent a complete replacement of the Spine. “The exercise is solely an uplift of the database management hardware and software. The application code and functionality of the Spine remain unchanged. The change will be transparent to users,” said a spokesperson. HL7 gets a new CTO, Accenture’s John Quinn. Jay Parkinson, MD MPH – employs the latest communication technology to offer a new kind of primary care practice. British Computer Society says ‘One Patient, One Record’ unrealistic. Archives of Internal Medicine study says Electronic Health Records fail to boost patient care in routine doctor visits. Microwave Bras designed to help detect breast cancer. Company ditches telemedicine for online gambling, shifts operations to Ireland.